UKIE have revealed the most successful video game releases in the UK to date. The list was revealed as part of the trade body’s 30 Years of Play campaign. As a result the trade body have created a list of the top 40 most successful UK game developers based on physical game sales between 1995 and 2018. The list is not definitive because it doesn’t include digital game sales, which would have a huge impact on which companies appear where. Below we have included the top 20 companies, and it’s interesting to see how they have done well thanks to the success of the following games. 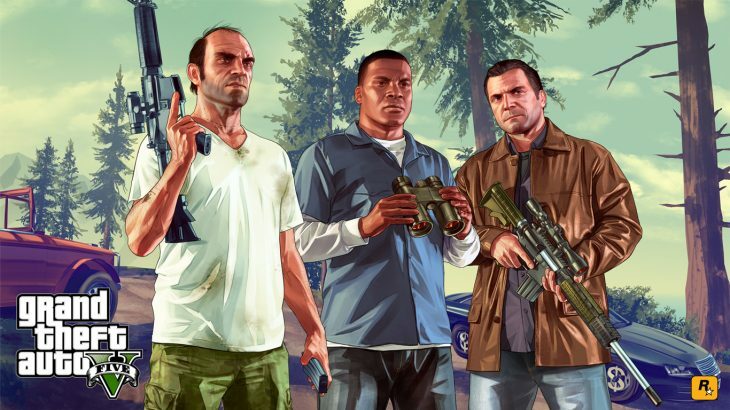 Most successful UK boxed game – Grand Theft Auto 5, which released for PlayStation 3, Xbox 360, PC, PlayStation 4, and Xbox One. Most successful UK boxed game – LEGO Batman, which released for PlayStation 2, PlayStation 3, Nintendo Wii, xbox 360, Nintendo DS, PlayStation Portable, and PC. Most successful UK boxed game – Colin McRae Rally, which released for PlayStation 1 and PC. Most successful UK boxed game – The Getaway, which released for PlayStation 2. Most successful UK boxed game – Football Manager 2007, which released for PlayStation Portable, PC, and Xbox 360. Most successful UK boxed game – Tomb Raider 2, which released for PlayStation 1 and PC. Most successful UK boxed game – James Bond: 007 Nightfire, which released for PlayStation 2, Xbox, and Nintendo Gamecube. Most successful UK boxed game – Need for Speed Hot Pursuit, which released for PlayStation 2, Xbox, and Nintendo Gamecube. Most successful UK boxed game – Goldeneye for Nintendo 64, and Kinect Sports for Xbox 360. Most successful UK boxed game – Driver, which released for PC and PlayStation 1. Most successful UK boxed game – Minecraft, which released for all major platforms. Most successful UK boxed game – Rome Total War, which released for PC. Most successful UK boxed game – Sega Superstars Tennis, which released for Xbox 360, PlayStation 2, PlayStation 3, Nintendo DS, and Nintendo Wii. Most successful UK boxed game – Harry Potter and the Goblet of Fire, which released for PlayStation 2, Xbox, and Nintendo Gamecube. Most successful UK boxed game – The Simpsons Game, which released for PlayStation 2, Nintendo Wii, and PlayStation Portable. Most successful UK boxed game – Theme Hospital, which released for PlayStation 1 and PC. Most successful UK boxed game – Project Gotham Racing 4, which released for Xbox 360. Most successful UK boxed game – Theme Park World, which released for PlayStation 1. Most successful uK boxed game – Batman Arkham City, which released for PlayStation 3, Xbox 360, and PC.